A heat gun with a choice of 2 speeds, making it ideal for heating materials such as Tyvek, Lutradur, nylon sheers and Kunin felt. It is ideal for using with embossing powders and also for drying paints. 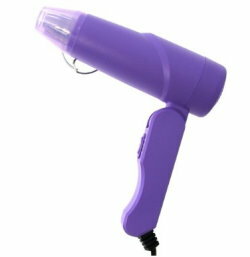 The heat tool has a fold-down handle so that you can easily use it at different angles. A lightweight and well-designed model. The low speed is designed for drying, and the high speed for curing embossing powders, but we know that our customers use these tools in a variety of creative ways.